At Parrelli Optical, we can fill your prescription in the pair of sunglasses that suits your lifestyle the best. However, don’t think that you can’t be as stylish as you can be with a regular pair of sunglasses. 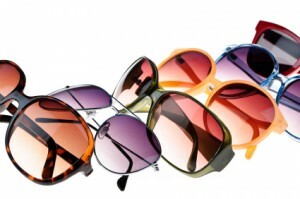 Prescription sunglasses in Peabody, MA from Parrelli Optical come in a myriad of styles and colors. You will even be able to find a pair by your favorite designer. The eye doctors and optometrists of Parrelli Optical are highly skilled, and they can even create a pair of prescription sunglasses that can wrap around your entire visual area. With these types of sunglasses, your peripheral vision remains intact. Our Optometrists are also aware that reflected light can cause problems for people especially seniors whose eyes have difficulties recovering from this type of light. One of our specialties is the polarized lens, and it is instrumental in maintaining your vision when reflected light is an issue. In the interest of saving time, our Optometrists at Parrelli Optical won’t offer you an abridged version of the eye examination. You will receive an extensive exam that will check for eye diseases, including glaucoma, blepharitis and endothelial dystrophy. Your eye doctor will then fit you for the most flattering and effective prescription sunglasses in Peabody, MA that you are sure to love.